Welcome to College & Young Adult Ministry! High school graduates and college students – you are invited to see what St. Francis/St. Louis College Ministry has to offer! There will be a college speaker and information about ways to get involved after all St. Louis masses that weekend. Come to 9:30 MASS, SUNDAY, MAY 26 at St. Louis to receive a graduates blessing followed by a reception in the Howard Bishop Room after 9:30 mass. Sign up for college care packages, get a free COLLEGE T-shirt and become a part of College Connection! Adults/alumni — you are invited to join us and adopt a College Student for the 2019-2020 school year. Since student information can reset each year, please sign up even if you’ve been part of it in the past. Please email Luisa Palting for more information: lpalting@stlouisparish.org. College Connection Ministry – college students may sign up for this optional program, which partners college students with parish alumni adults who support them throughout the academic year via prayer, cards and care packages, homecoming weekend in May and send off weekend in August. The goal is to help college-aged students remain connected to their home parish community and assist them in the transition from high school to college life. 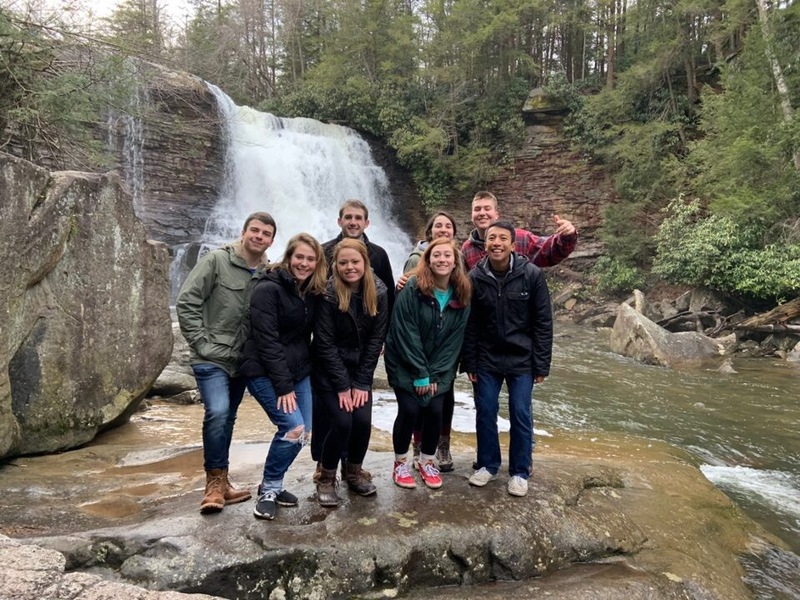 College Winter Retreat – usually held the first week of January at Deep Creek Lake. This “low-key” retreat provides an opportunity to gather, reflect and have fun in a home away from home setting. SAVE THE DATE: JAN. 6-8, 2020. Registration opens late Fall. College Habitat for Humanity – serves the Sussex County chapter of Habitat for Humanity. Build houses during the day and build faith and friendships in the evening. SAVE THE DATE: MAY 28-JUNE 1, 2019. Registration here. College Visits – CYM staff (Pat and Luisa) visits local college campuses throughout the year to deliver care packages, have conversations, take students out for coffee or lunch and provide a connection to home. The Young Adult Ministry is for young adults 20s-30s and is a combined ministry with St. Francis of Assisi Church (Fulton) and St. Louis. The Young Adult Ministry encourages participation in the life of the parish and Archdiocese-wide activities and events. We welcome young adults to take initiative in leading peer-to-peer activities at St. Francis & St. Louis in order to grow their home-base faith community and help in outreach efforts as missionary disciples. Young adults are also invited to participate in high-school retreat teams, Confirmation prep, as religious ed catechists and other CYM efforts (must be VIRTUS-cleared to work with youth.) Contact Luisa with ideas, suggestions or if you would like to help grow the ministry! Up&Out is a combined St. Francis/St. Louis young adult outreach program, supported by a grant from Bon Secours Young Adults. 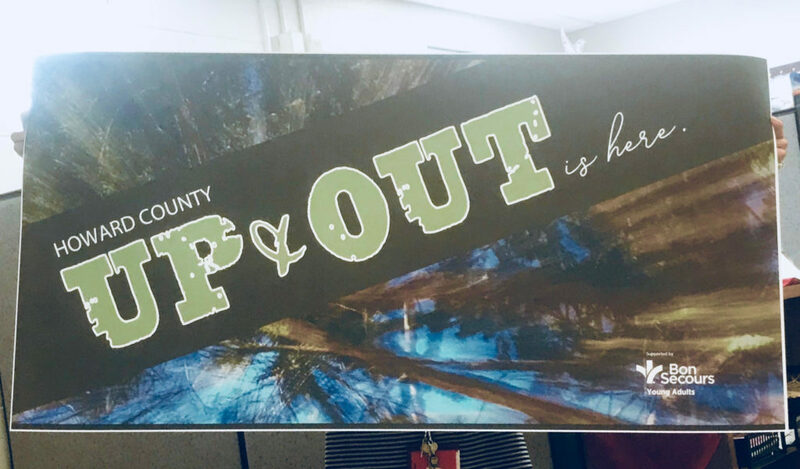 Up&Out aims to bring churched and non-churchgoing young adults into community to accompany each other and experience the love of God beyond church walls. Please like us on Instagram #upandouthoco and email Becki Kaman (St. Francis) or Luisa for more information. MORE INFO ON THE CYM PAGE.